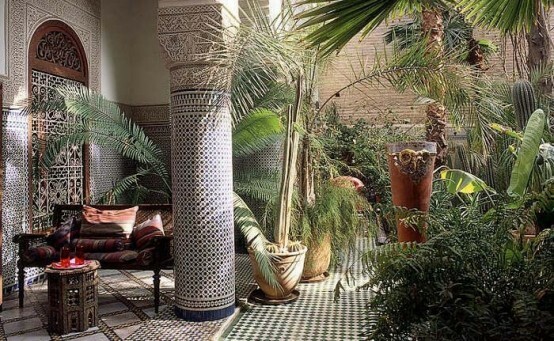 Morocco is an exotic country in the Northern Africa which is distinct in its peculiar Eastern style. 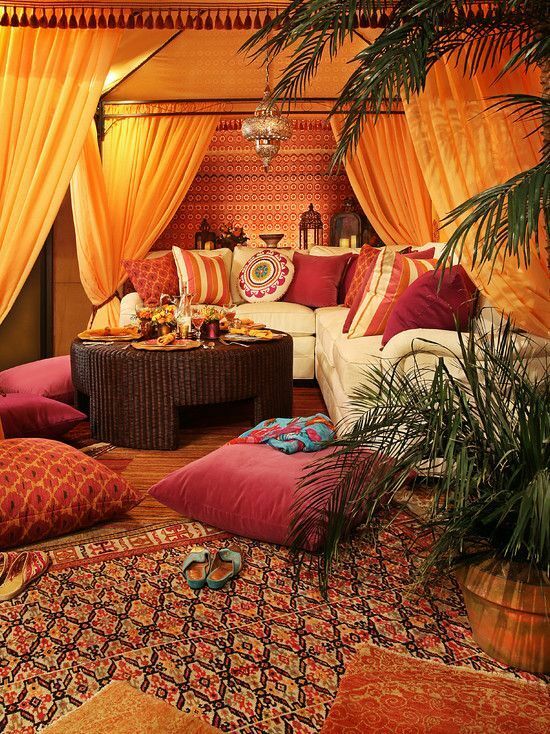 Moroccan style is very popular thanks to its bright colors and exotic charm and many designers use it for creating interiors. 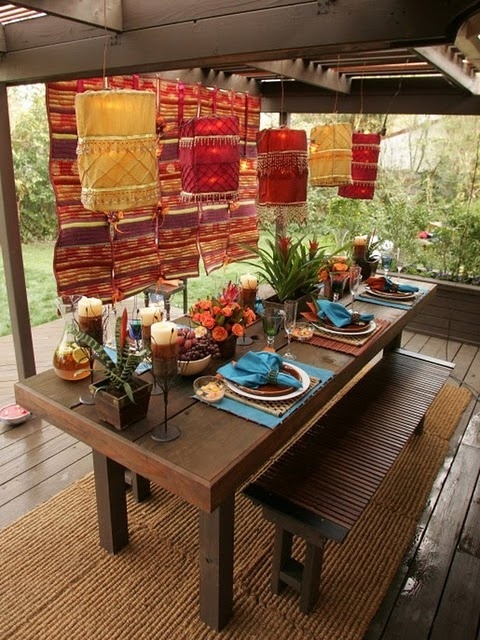 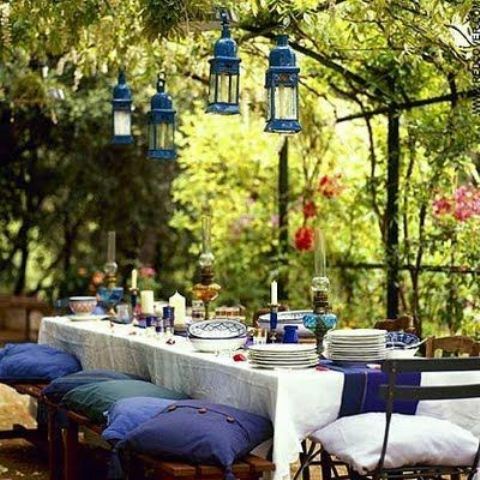 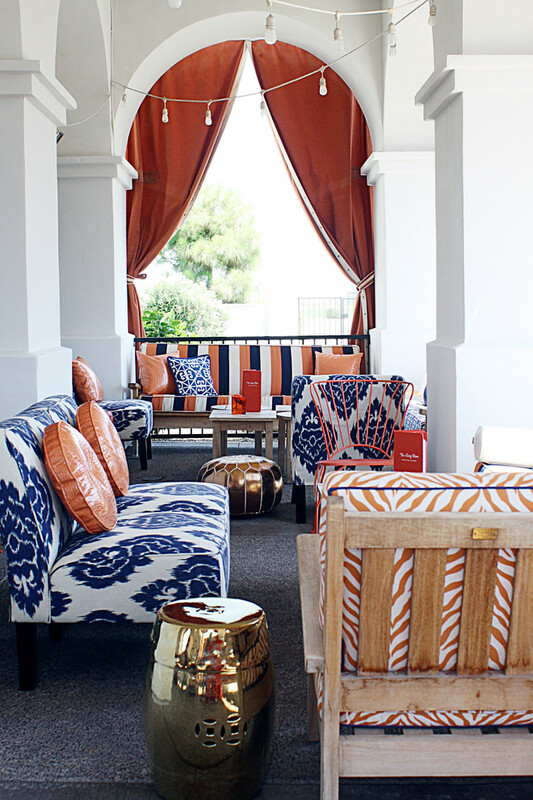 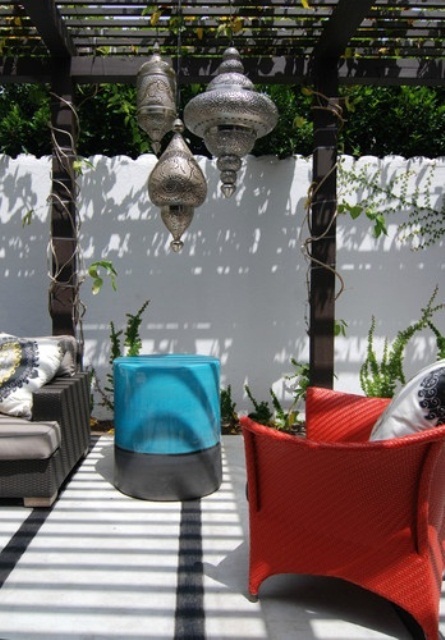 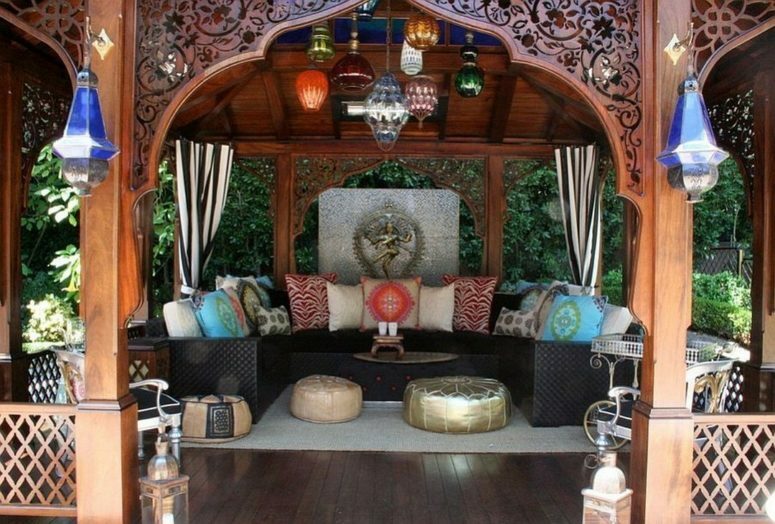 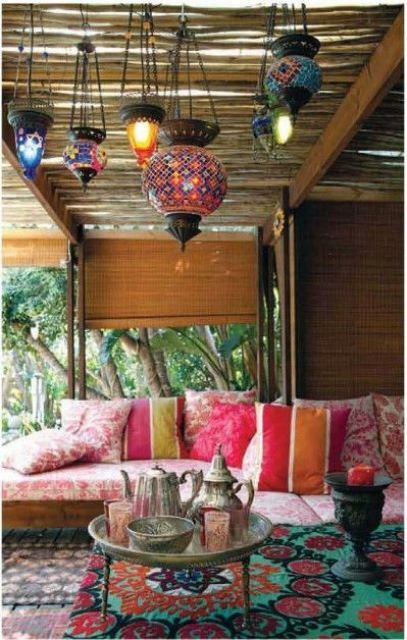 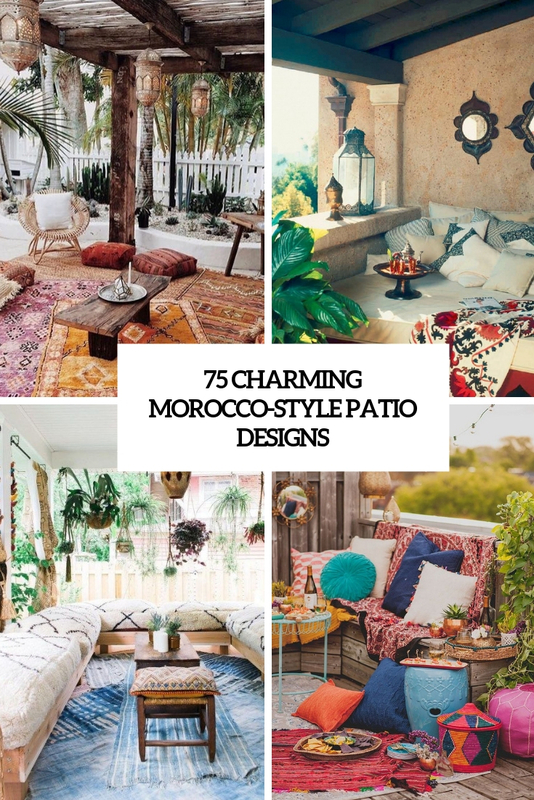 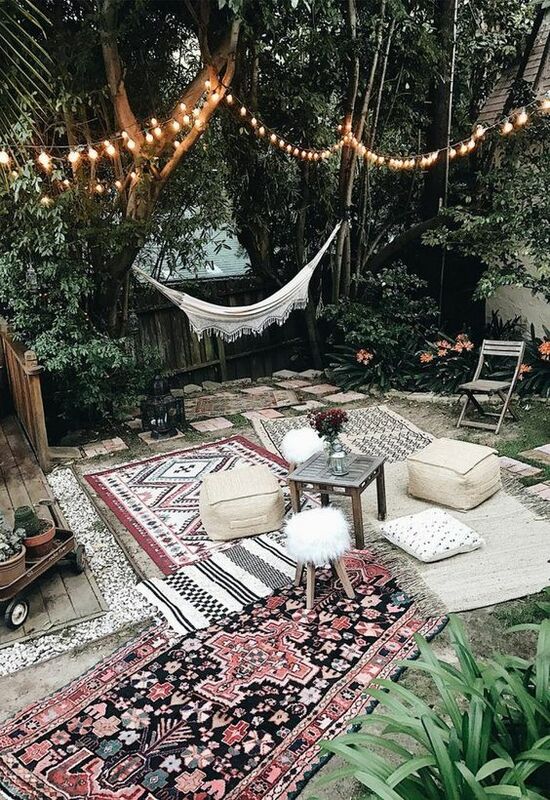 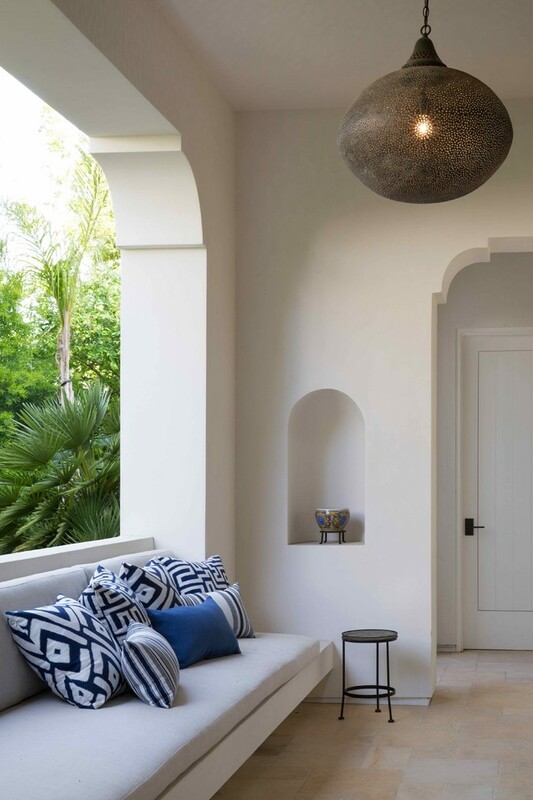 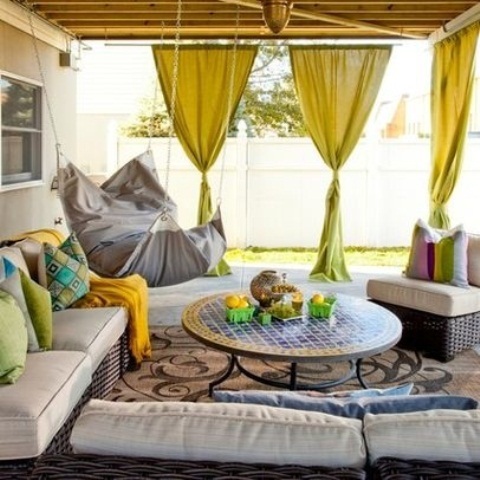 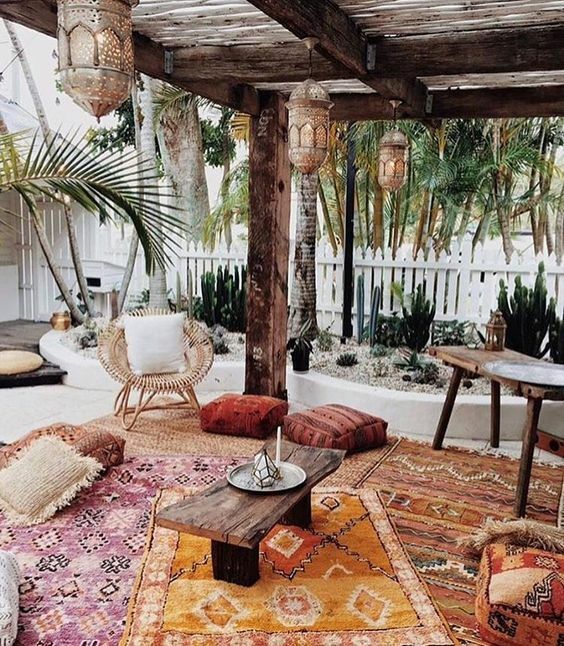 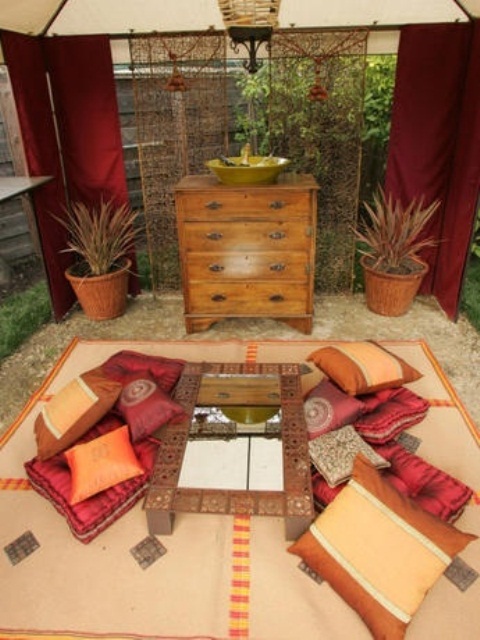 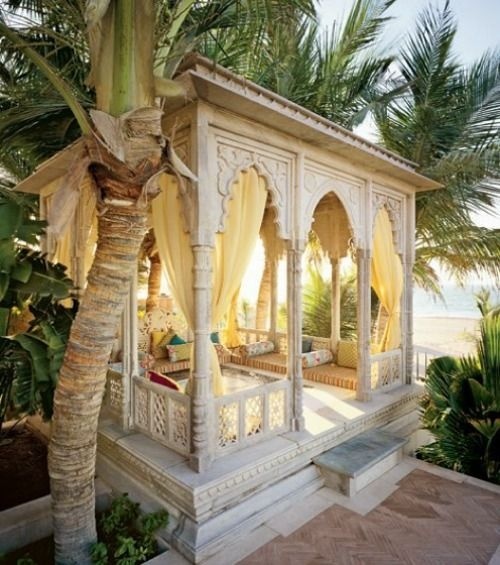 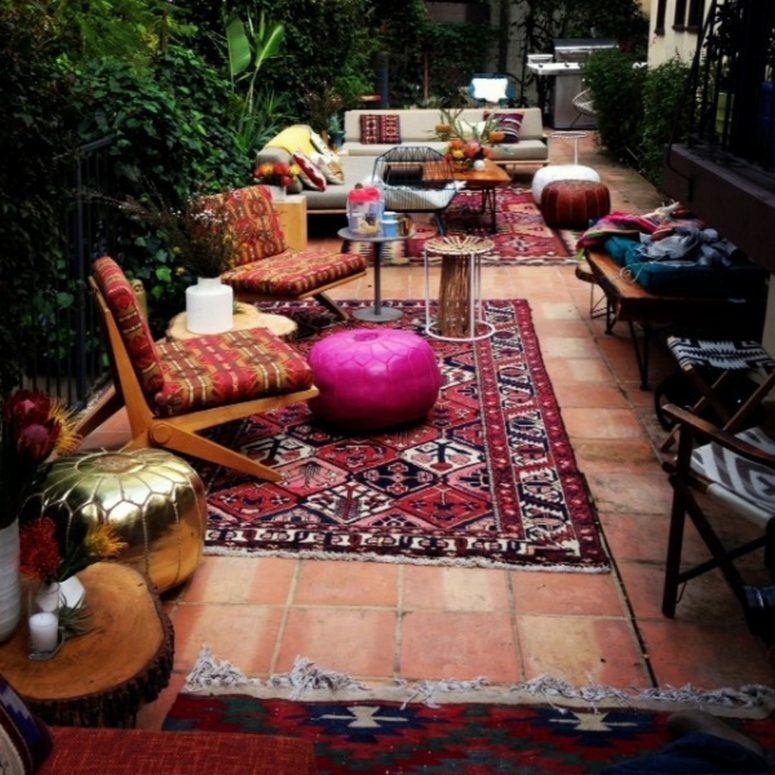 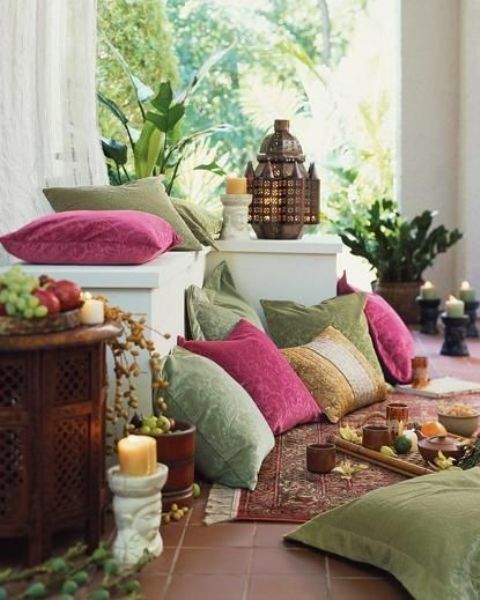 If you want a patio in Moroccan style, you’ll need bright fabric – baldaquins, cushions and rugs, low tables and chairs, geometric patterns, bright ottomans and poufs, and, of course, fantastic Moroccan lanterns! 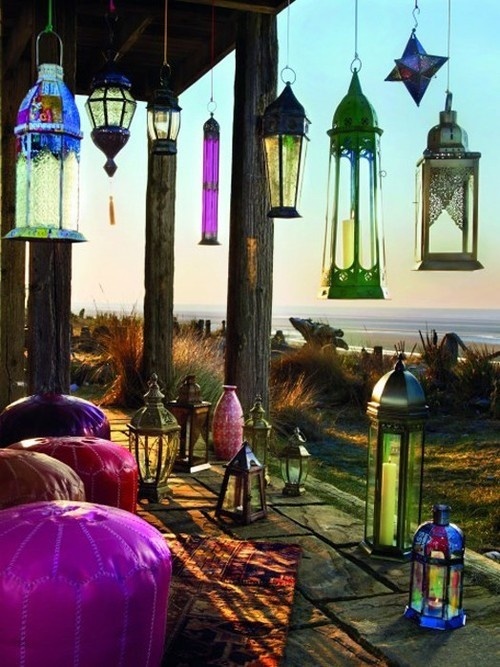 Eastern lanterns are a special topic; they are of metal and glass, also very colorful and with a candle inside – that’s the true charm of the East! 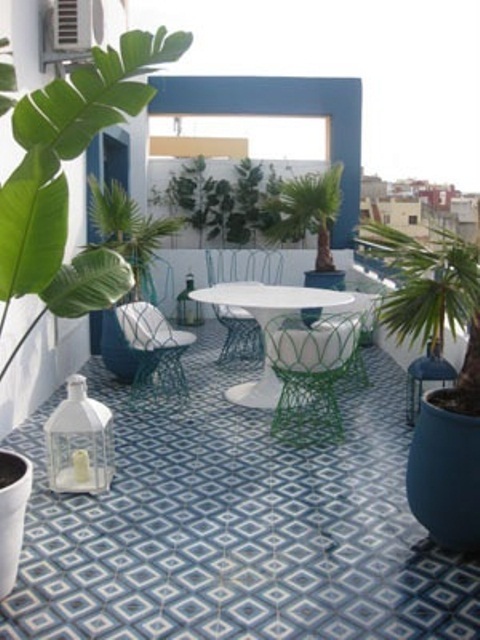 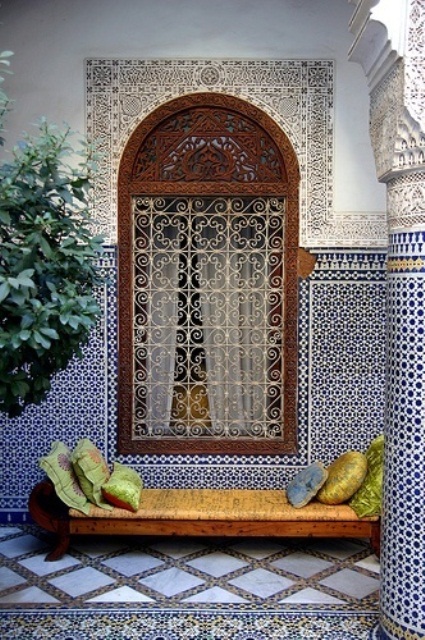 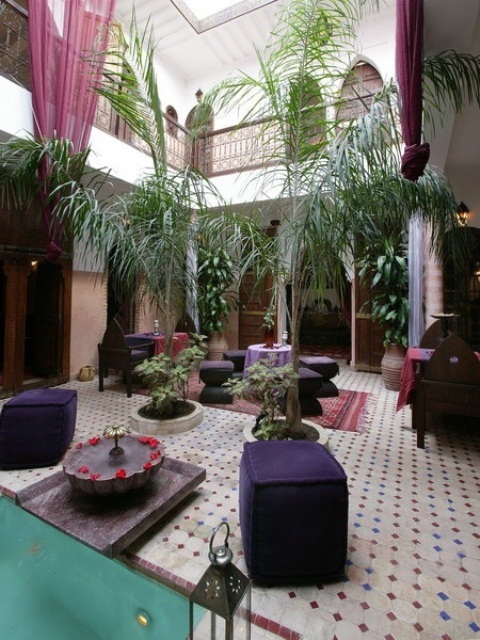 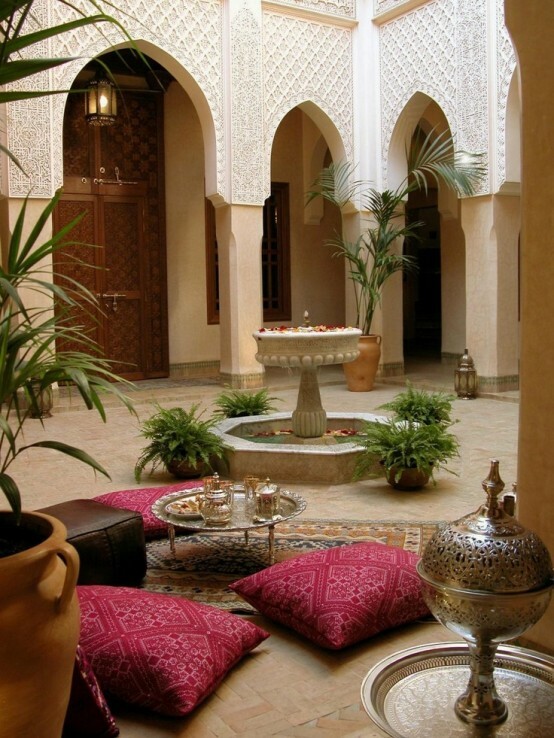 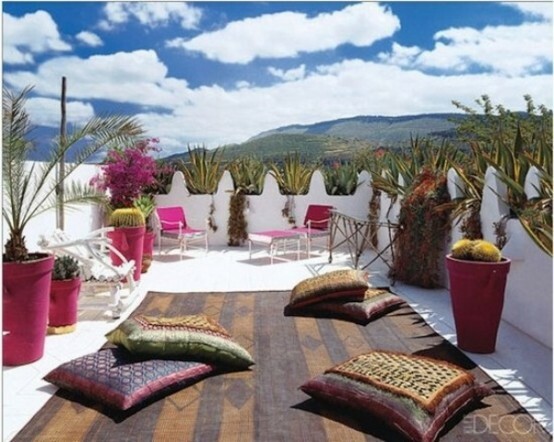 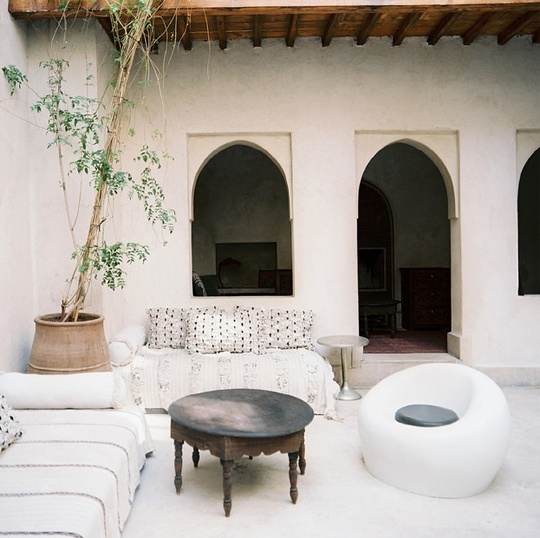 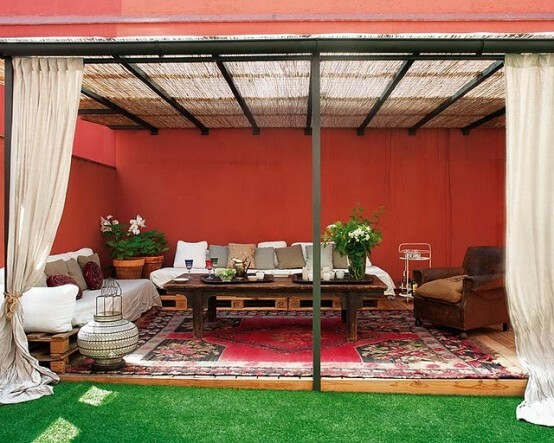 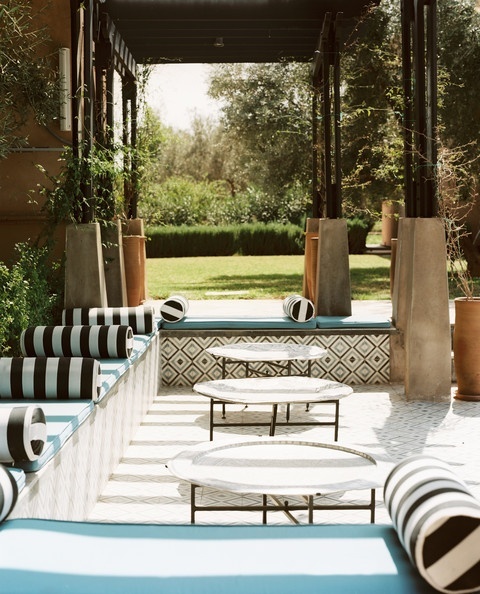 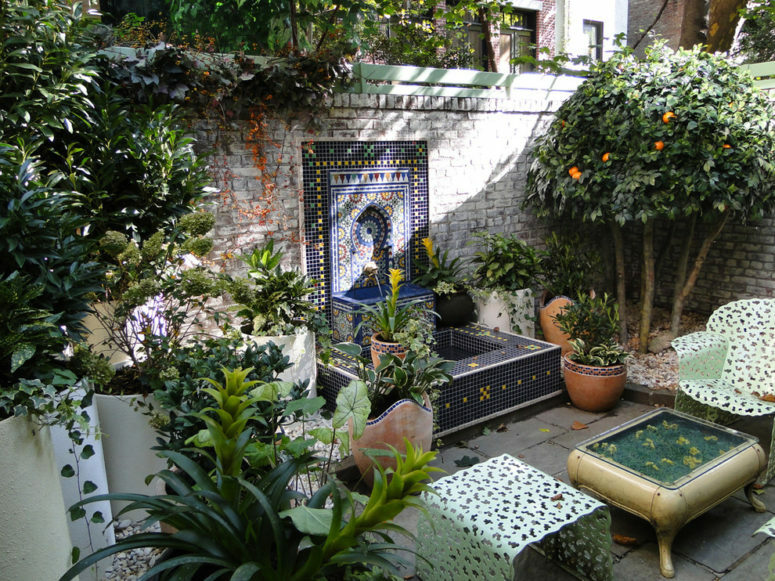 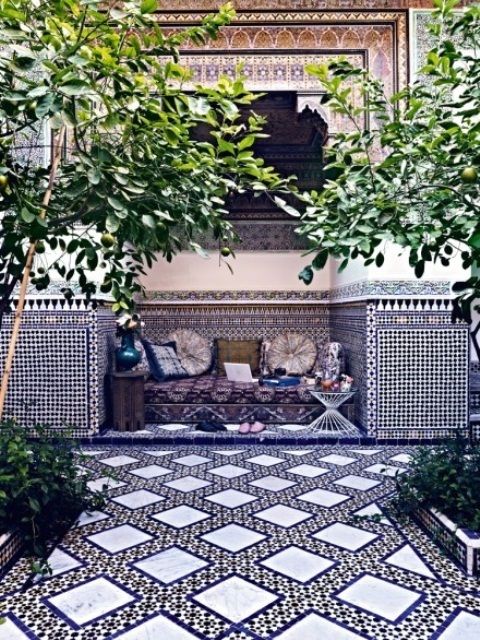 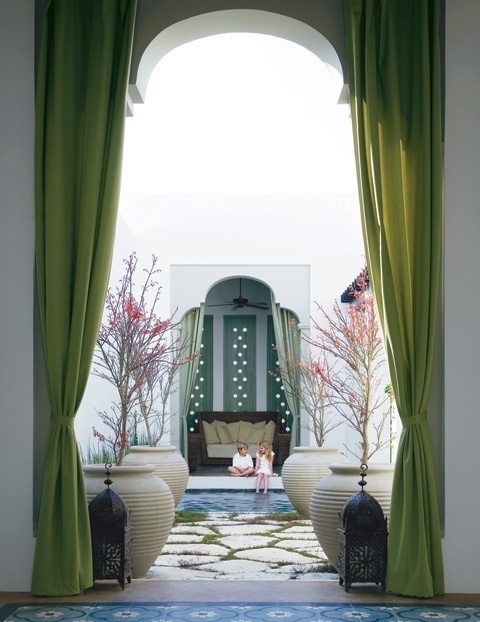 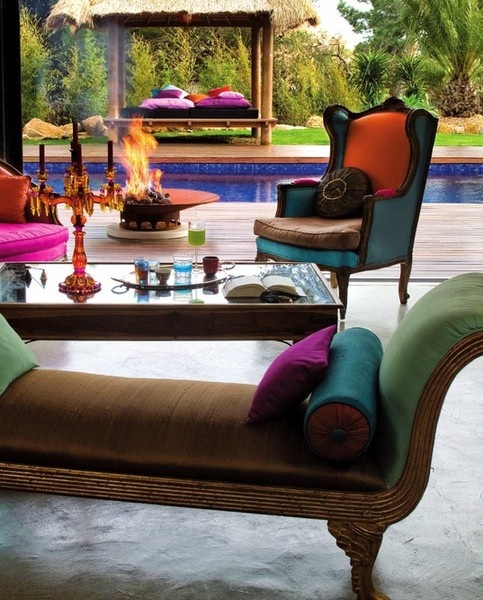 Below you’ll find some cool examples of Moroccan patios, enjoy and get inspired! 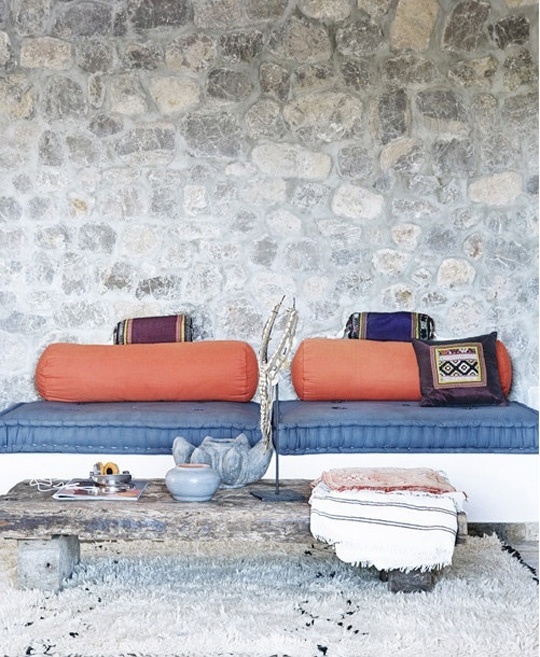 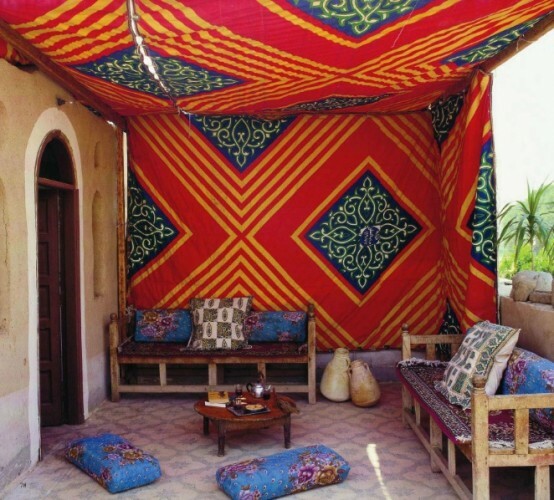 Traditionally, Moroccan style is about bright colors and lots of patterns, that’s why it’s loved by boho fans so much. 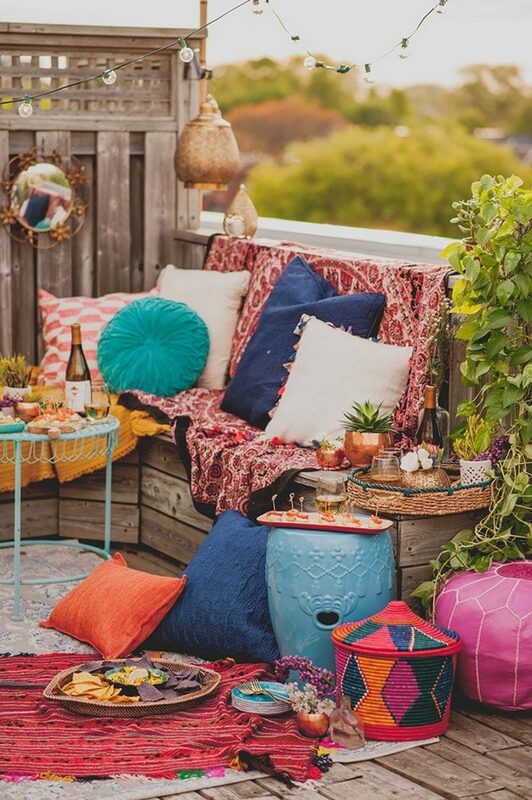 Orange, teal, pink, fuchsia, red, green, purple – mix up them all or some of them and add prints – as many as you want, don’t be afraid to get an excessive look. 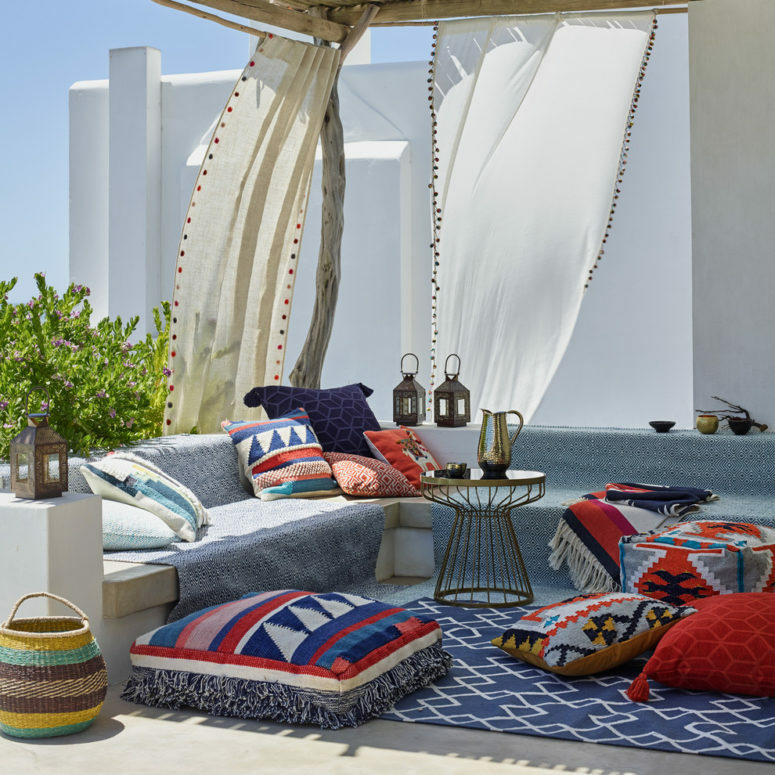 If you want a more contemporary take on Moroccan style, you may just go neutrals – white, ivory, tan, cream and bring the colors in with lanterns, rugs and other accessories – just a bit of them, not much. 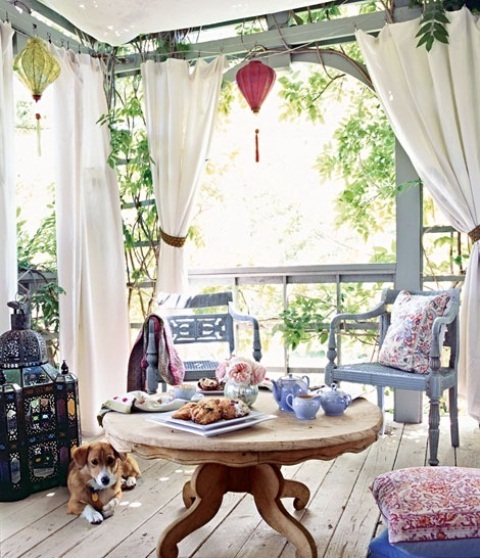 If you want more authenticity, prefer carved wooden furniture and low metal coffee tables. 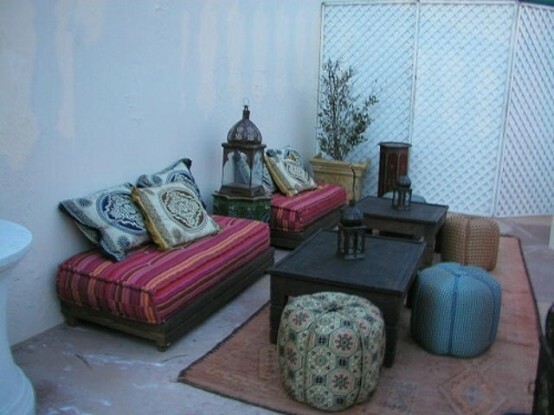 If not – just keep the furniture simple and go for traditional accessories and decorations. 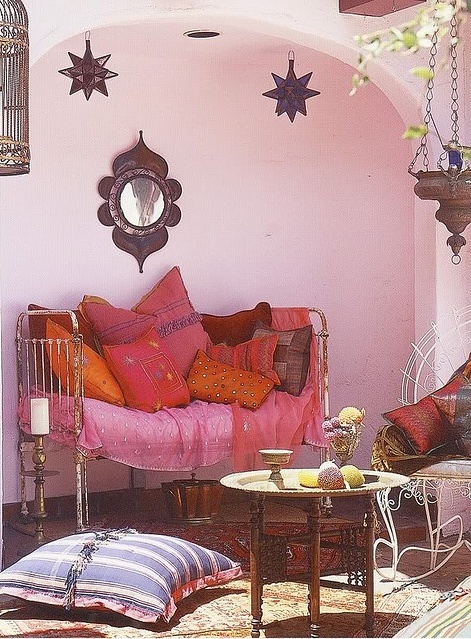 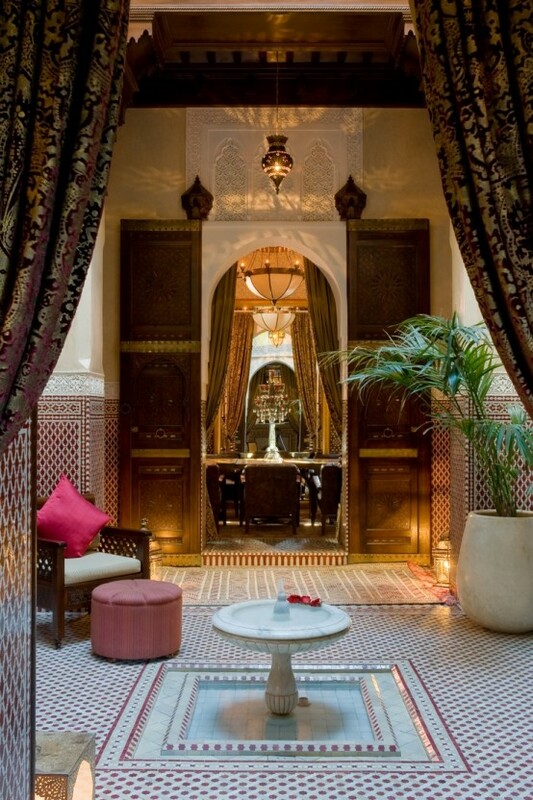 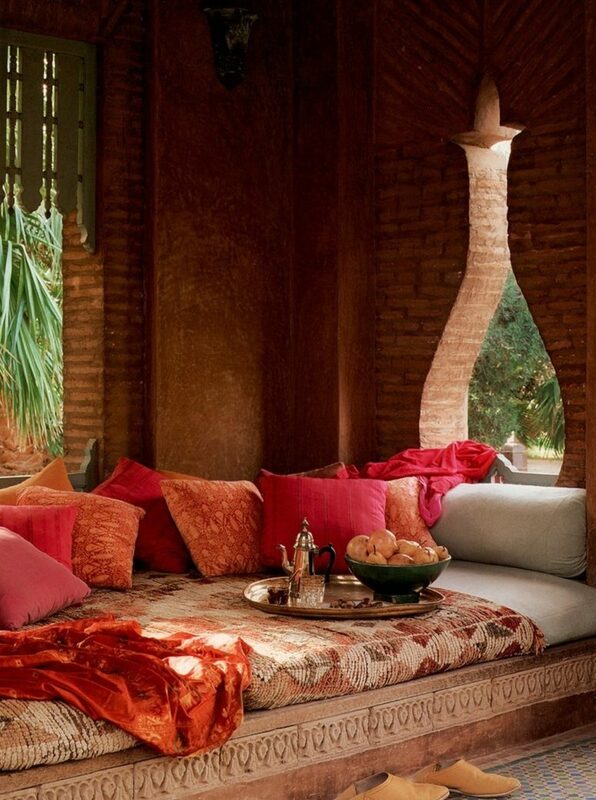 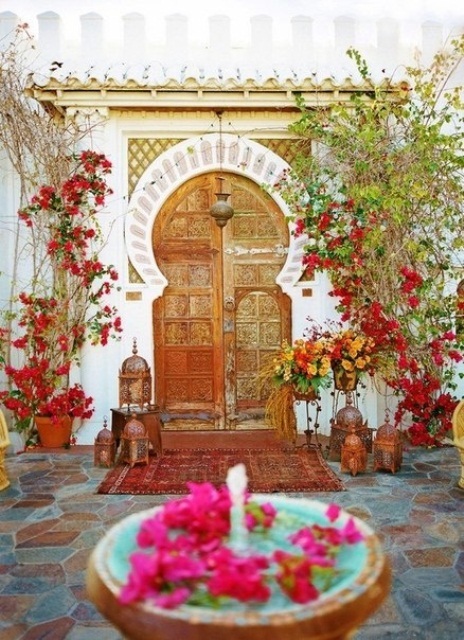 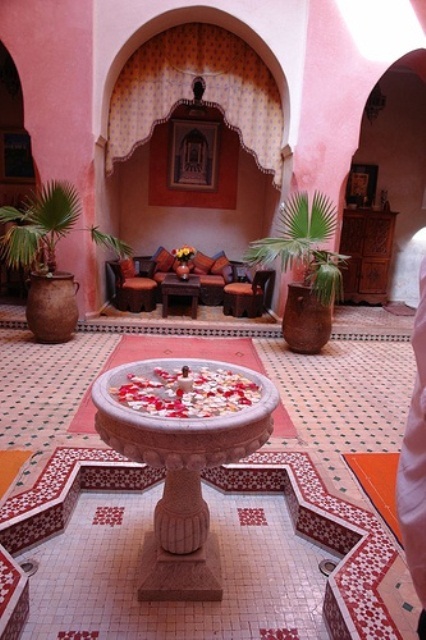 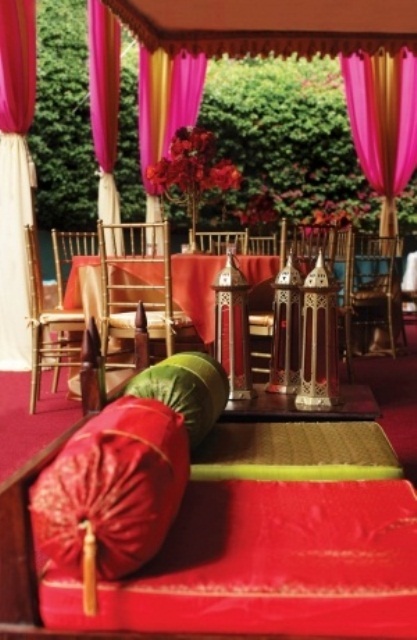 Moroccan style is all about bright decor and lots of accessories everywhere. 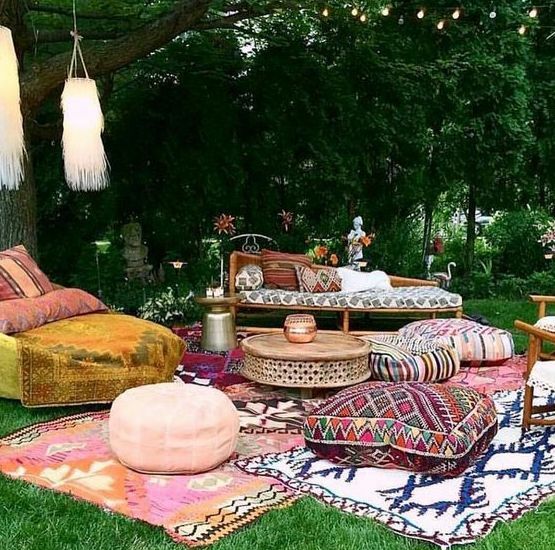 Colorful printed boho rugs, bright blankets and pillows and cushions, leather ottomans and of course lanterns, traditional Moroccan lanterns everywhere. 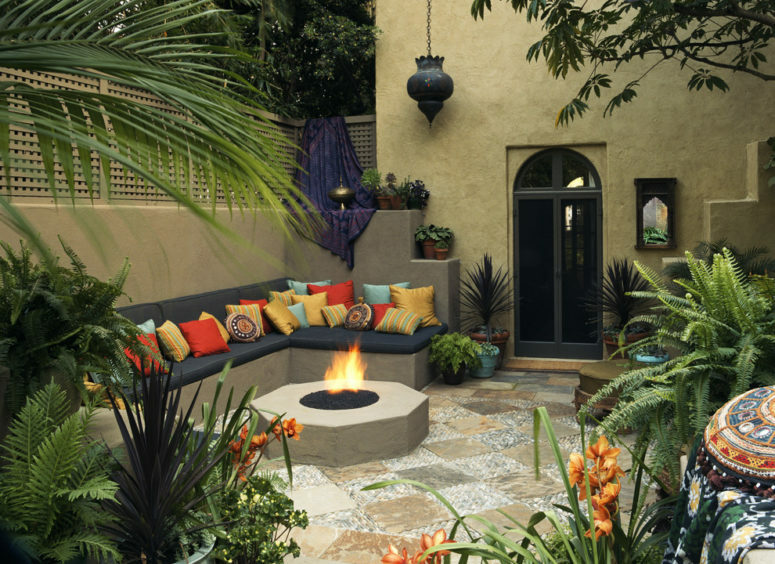 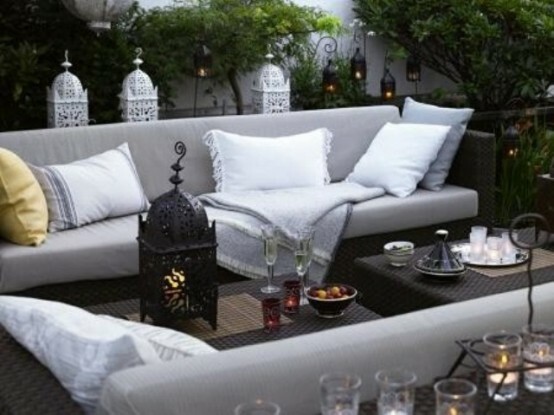 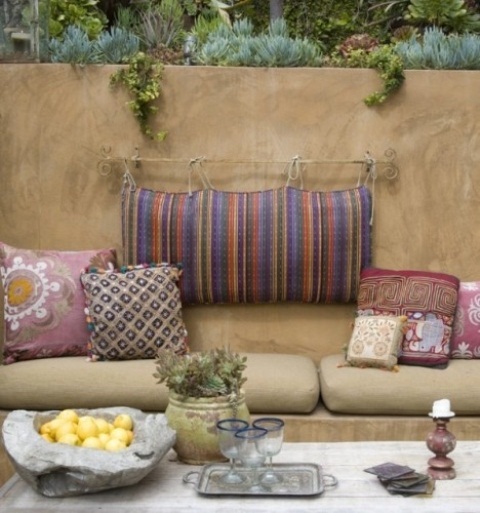 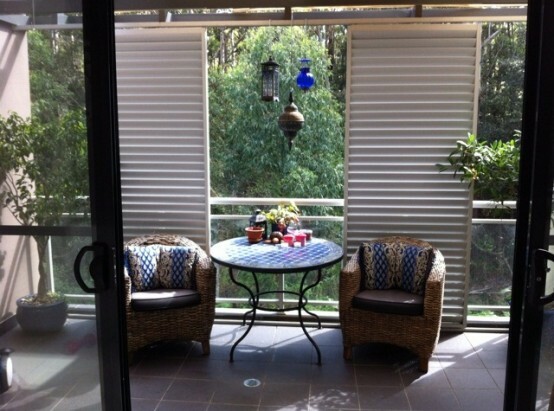 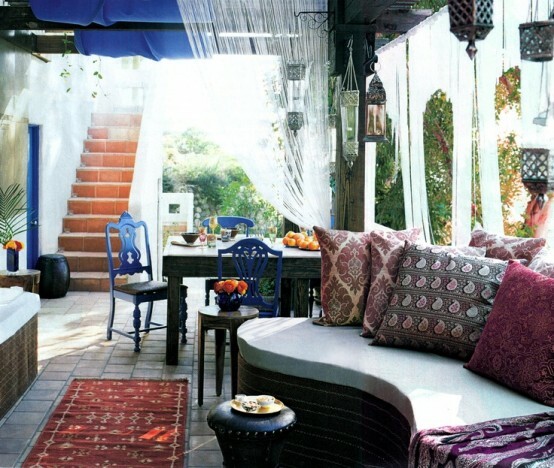 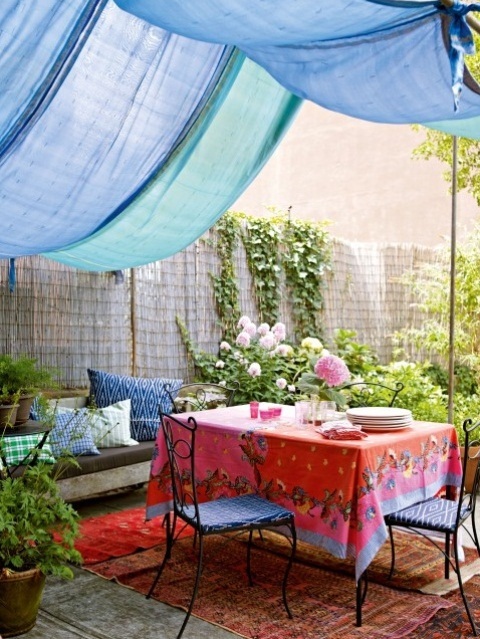 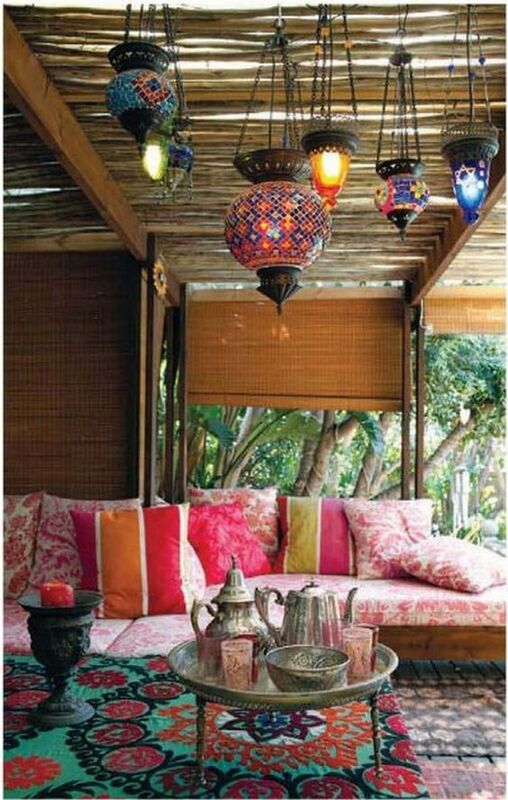 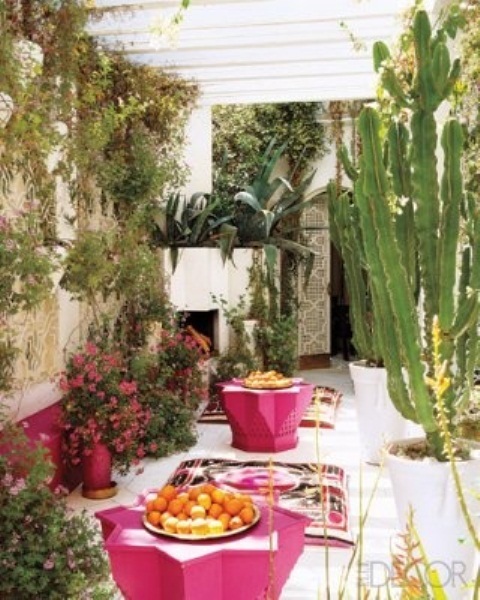 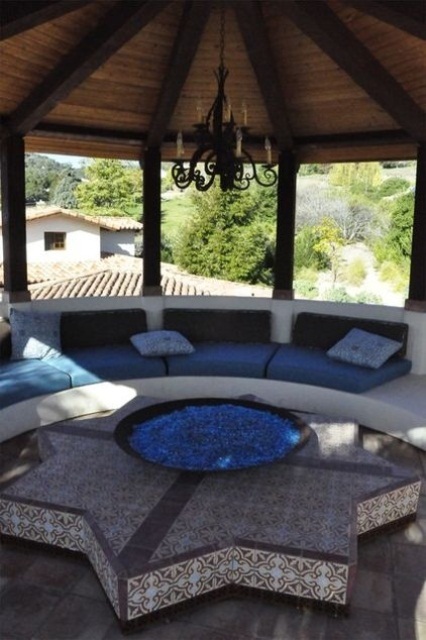 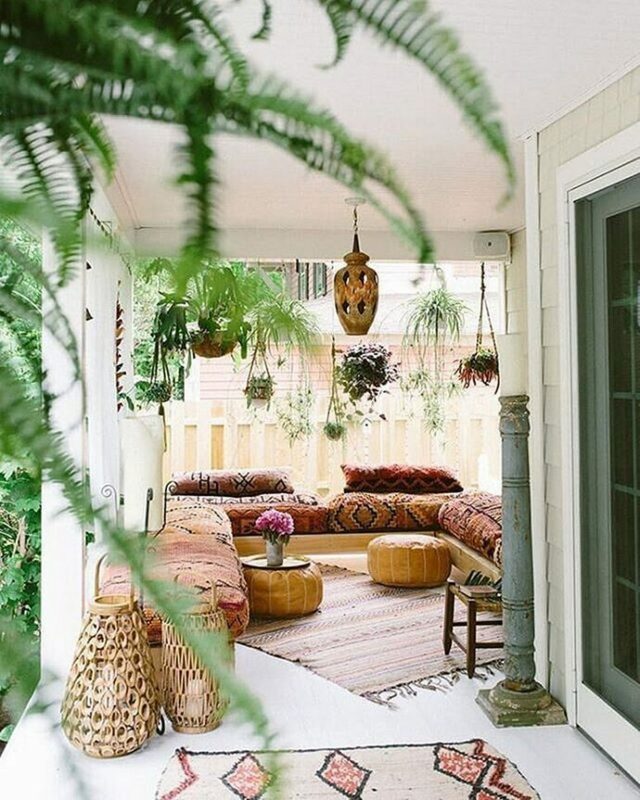 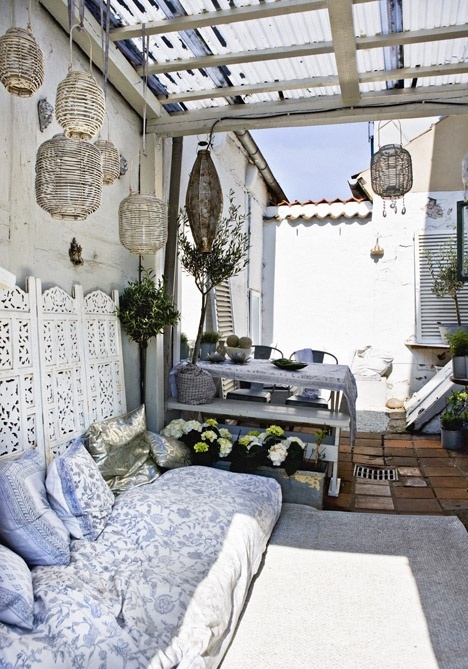 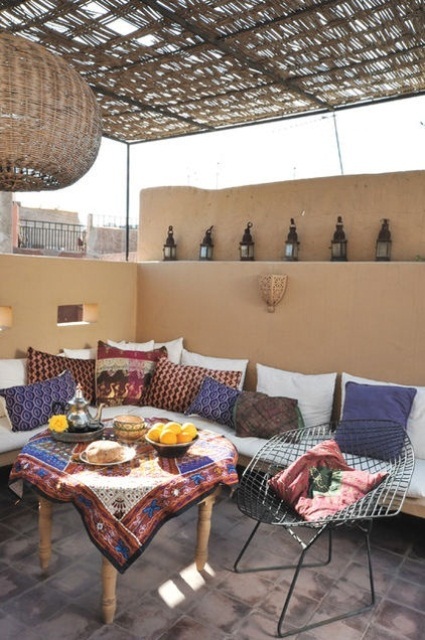 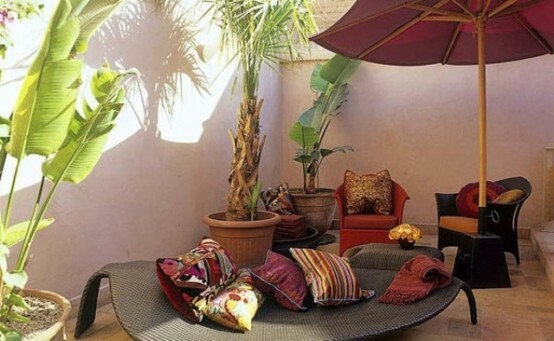 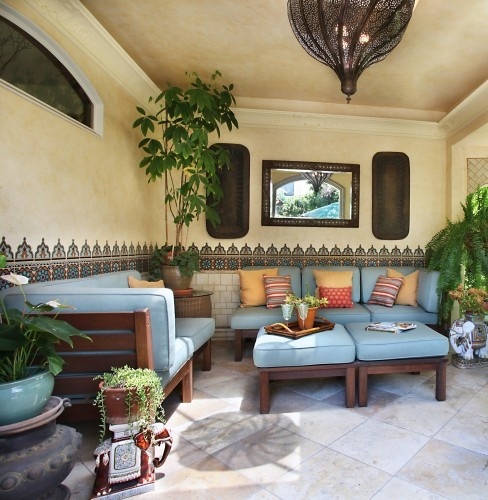 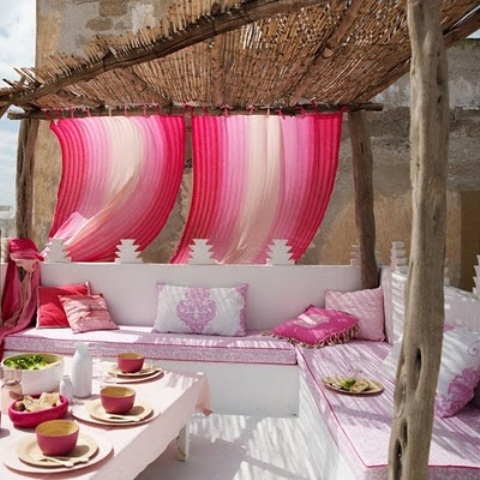 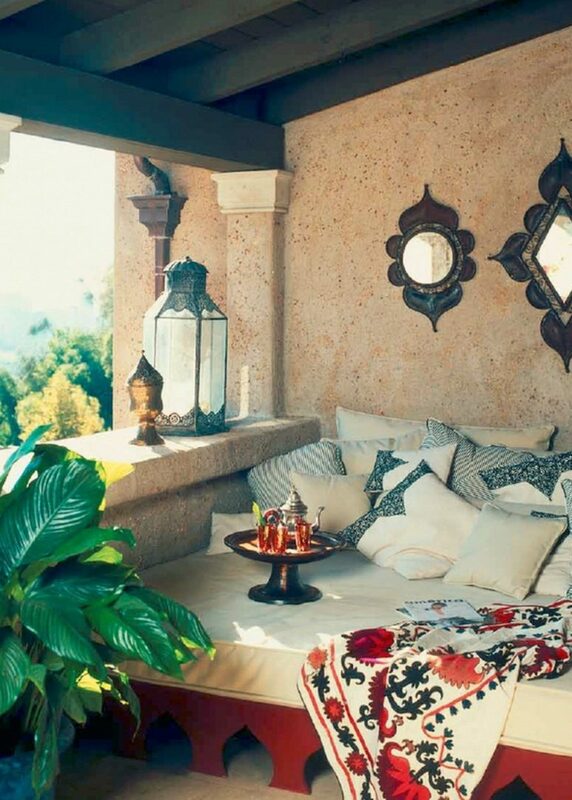 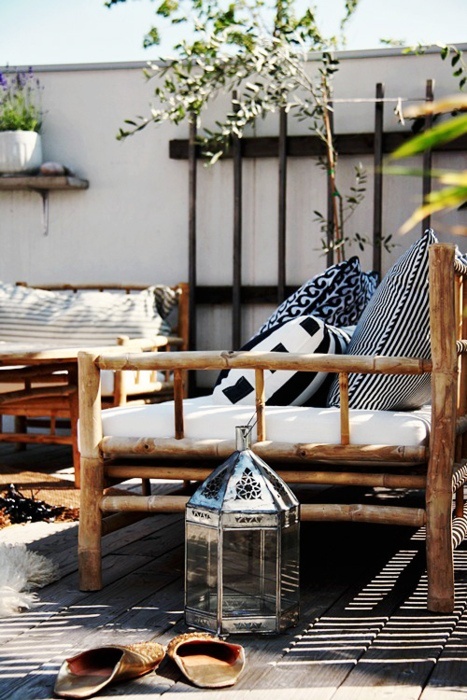 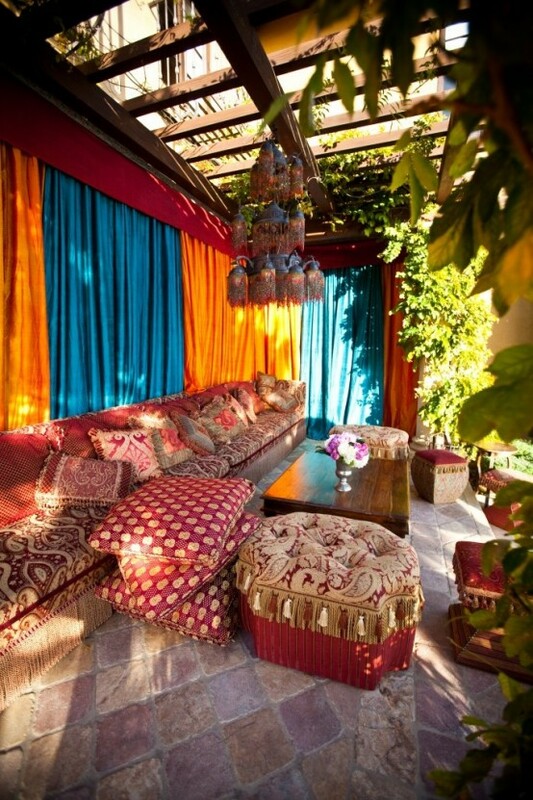 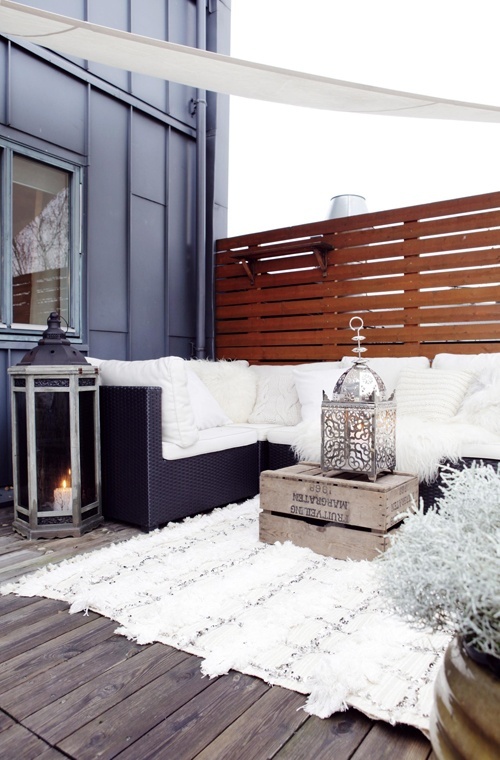 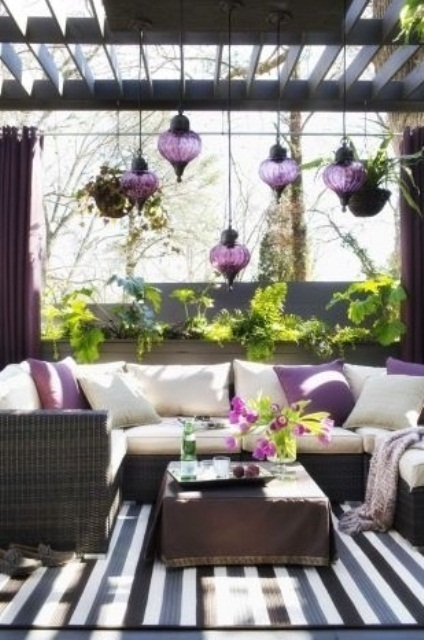 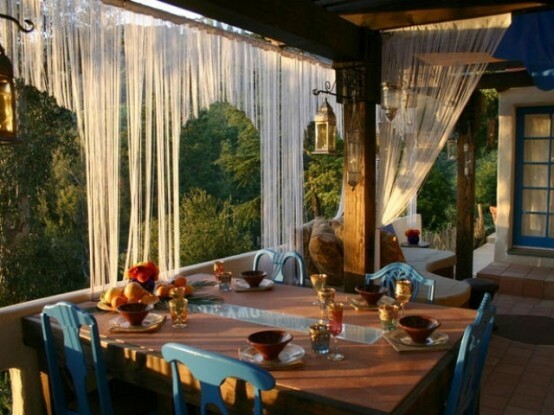 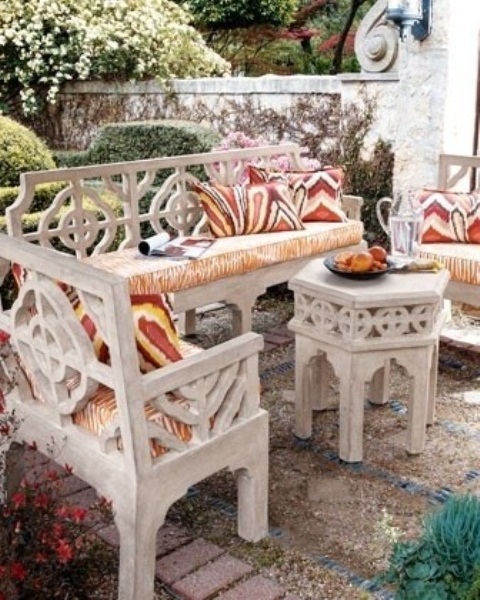 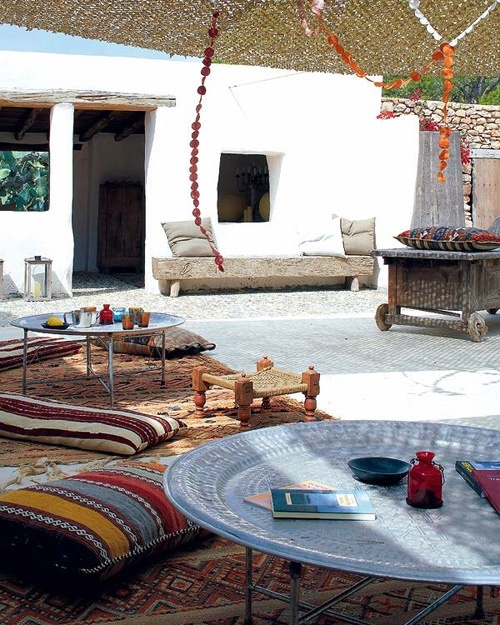 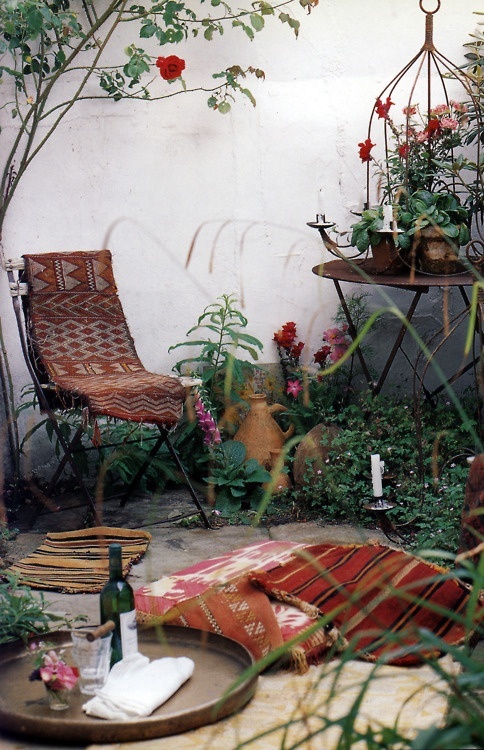 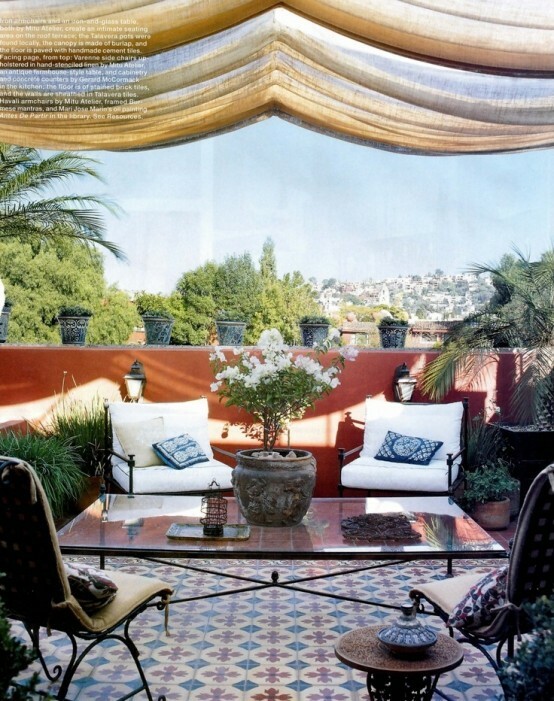 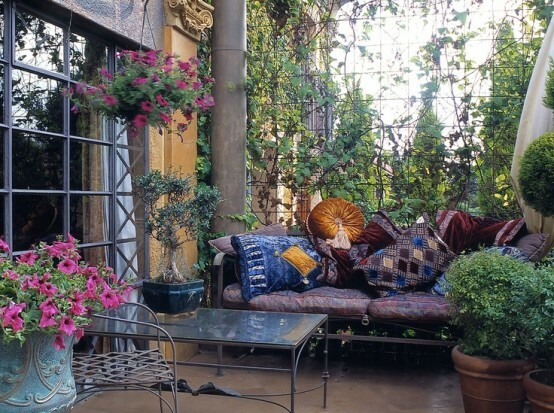 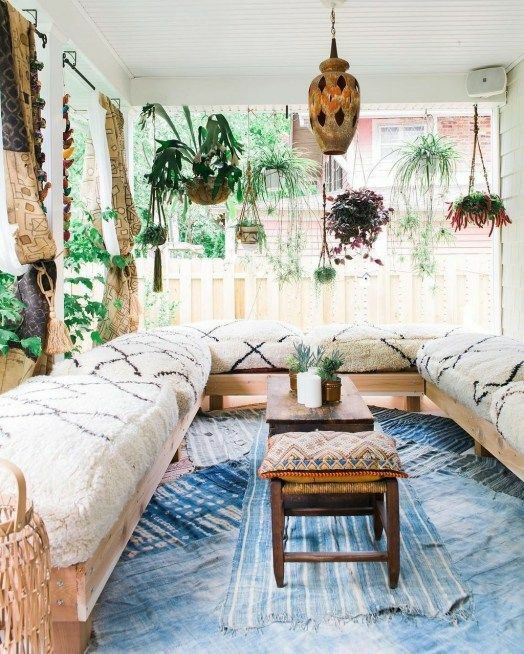 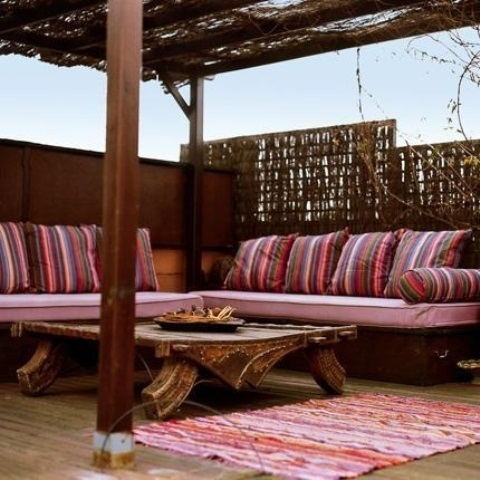 Add woven baskets and wicker chairs if you want, and voila – a cool Moroccan patio is done!